A UN Security Council diplomat said China's move to block Azhar's terrorist listing for the fourth time is inconsistent with its own goals of combatting terrorism. Washington: Outraged by China blocking for the fourth time a move to designate JeM chief Masood Azhar a global terrorist, responsible UNSC members warned they “may be forced to pursue other actions” at the Security Council if Beijing continued with this policy. “If China continues to block this designation, responsible member-states may be forced to pursue other actions at the Security Council. It shouldn’t have to come to that,” a Security Council diplomat told PTI in an unusual tough warning to China. The diplomat spoke on condition of anonymity to give a sense of the feeling of other members of the Security Council after China blocked the move to designate Azhar a global terrorist. Beijing previously put a technical hold on similar proposals at the UNSC thrice. 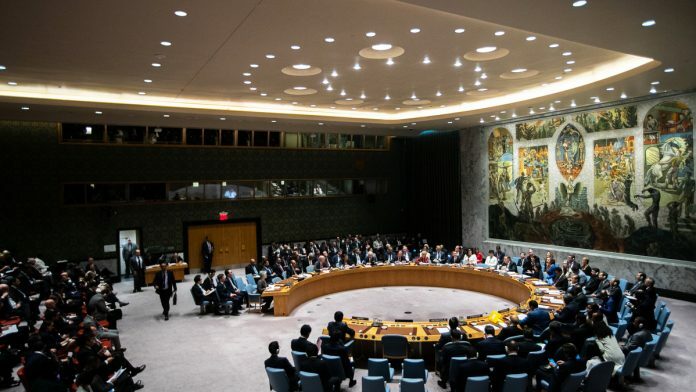 In the aftermath of the Pulwama terrorist attack, three permanent members of Security Council the US, France and the UK had moved a resolution to designate Azhar a global terrorist. Except for China, which wields veto power in the Security Council, all other UNSC members were on board with the move before the al-Qaida (1267) Sanctions Committee. India has expressed disappointment over China’s decision but said it will “pursue all available avenues” to bring to justice terrorist leaders involved in attack on Indians. “This is the fourth time that China has placed a hold on this listing. China should not prevent the Committee from doing the job the Security Council has entrusted it to do,” another security council diplomat told PTI in response to a question. “China’s move to hold the listing is inconsistent with its own stated goals of combatting terrorism and furthering regional stability in South Asia,” said the diplomat, requesting not to be named to speak frankly, given that the deliberations of the UN sanctions committee are confidential, thus preventing member-countries from talking about it in public. The second security council diplomat also slammed Pakistan for depending on China to protect terrorist groups and leaders that operate from its soil. “Pakistan has quite often depended on China to protect it from the listing of Pakistan-based terrorist groups and individuals in the UN 1267 sanctions committee,” the diplomat said. “The case for designating Masood Azhar the leader of a group the UN already calls an al-Qaeda-affiliated terrorist organization is undeniable,” the diplomat said. On Tuesday, the Trump administration had said that Azhar meets the criteria for designation by the United Nations. “Our views on Jaish-e-Mohammad and its founder are well known. JeM is a UN-designated terrorist group,” State Department deputy spokesperson Robert Palladino told reporters. “Azhar is the founder and the leader of JEM, and he meets the criteria for designation by the United Nations. JEM has been responsible for numerous terrorist attacks and is a threat to regional stability and peace,” Palladino said. The State Department referred to this statement on Wednesday when asked about the latest developments in New York. I would say that the United States and China share a mutual interest in achieving regional stability and peace, and that a failure to designate Azhar would run counter to this goal, Palladino said. Congressman Brad Sherman described the Chinese move as unacceptable. Once again, China has blocked the UN from imposing sanctions on Masood Azhar, the leader of Jaish-e-Mohammed, which carried out the Pulwama attack in India in February. This is unacceptable, he said. I urge Beijing to allow the UN to place sanctions on Azhar, the leader of a UN-recognized terrorist organization, Sherman said. Several American think-tank members slammed China for its decision delaying the Azhar listing. Today, China doubled down on a very bad bet. It blocked yet another round of UN sanctions on Pakistan-based JeM chief Masood Azhar weeks after the group claimed credit for the deadliest terror attack in Kashmir, Jeff Smith from the Heritage Foundation said. This one won’t be undone by another romantic stroll through Wuhan, he said, indicating that such a move by Beijing would only escalate the tension between India and China. Not entirely unexpected, but nonetheless a slap to India’s face after last month’s bloody suicide-bombing in Kashmir. Also raises serious questions about the benefits of Modi’s photo-op diplomacy with Xi Jinping, tweeted Sadanand Dhume from American Enterprise Institute.